1. Heat a large non-stick pan on the stove over medium-low heat. Once hot, add the olive oil and chicken breast. Cook until warm. 2. Add baby spinach to pan and cook until spinach is reduced by half. Season to taste with salt and black pepper. 3. Rinse tomatoes and cut into 4-6 slices. 4. 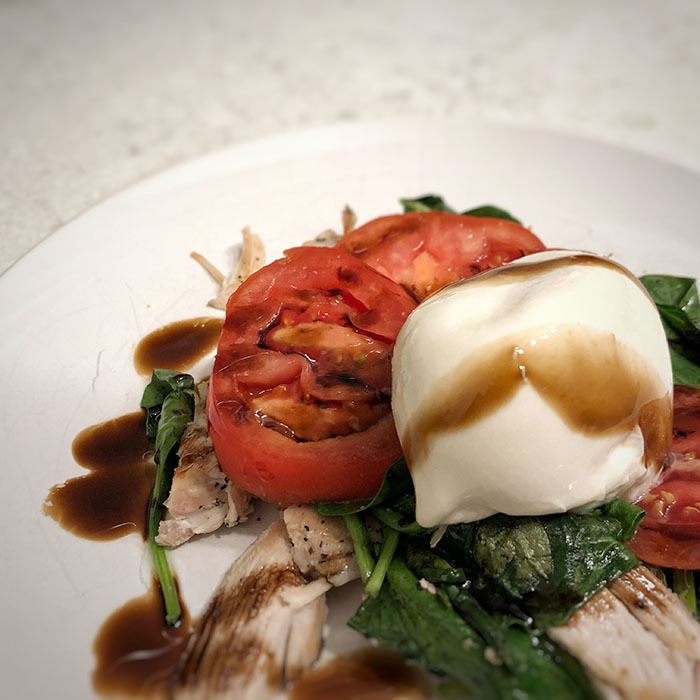 Plate the spinach and chicken, top with the sliced tomato and burrata cheese, and finish with a drizzle of 1 Tbsp Pastamore Traditional Barrel-Aged Balsamic Vinegar.